Today, I'm blogging with three fun activities for your music room, that have worked well for my students and I! 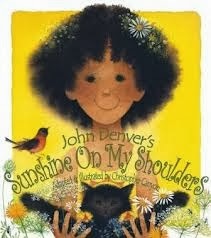 This is a beautifully illustrated book by Christopher Canyon; you can see it by clicking on the picture below. You can put on the recording of the song as you turn the pages. 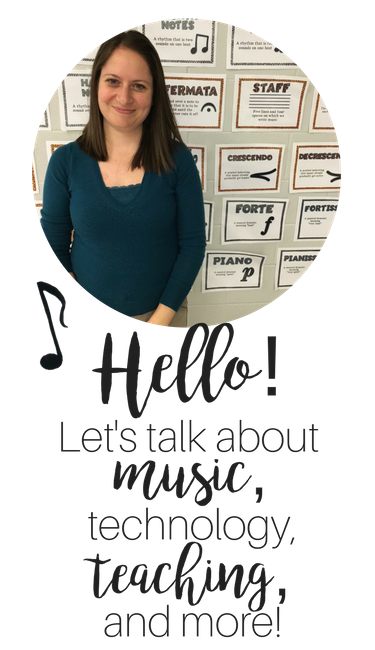 It's a great opportunity to discuss audience behavior, and to have students listen for the meaning of a song's lyrics. We discuss how the sunshine can improve our mood, and how music can do the same. Christopher Canyon and his wife Jeanette are both illustrators and actually live in Bexley, just about 15 minutes away from my home. They came to my school a few years ago for an author visit and it was a very special treat! Now that my third graders know 2-beat meter, we've been playing around with inner hearing certain measures. For example, I will sing the song as the students look at the song on the board (written with barlines) but I will inner sing measure 3. They have to identify which measure I sung inside my head, and then they try to inner sing that measure. 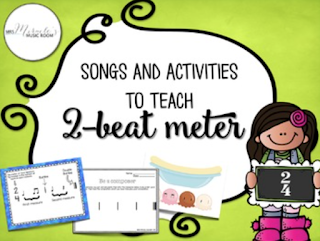 Today, I tried a SMART board file I had created for a set I am selling on TpT, called "Songs and Activities to Teach 2-Beat Meter." 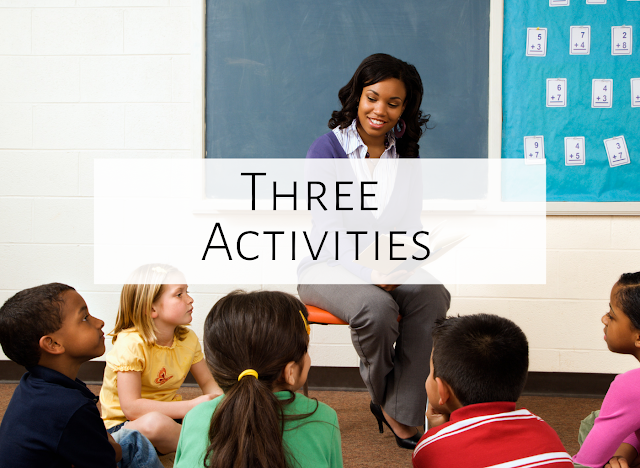 The file included in this set allows the teacher and/or students to tap on a measure and watch it disappear; students can sing the song aloud but inner sing the measures that have disappeared. My students LOVED doing this... we ended up spending more time on it just so they could challenge themselves. You can view the set by clicking on the picture below.